The best thing about this product is that it is ETL listed and CE certified. It can power up different types of light wattages such as 400, 600 and 1000. This product is good for both High-Pressure Sodium and Metal Halide Lights. It supports 120- and 240-volt outlets. This product has a technology that serves as a short circuit protection (replaceable outlet fuse). There is also another safety feature which is the automatic power off. 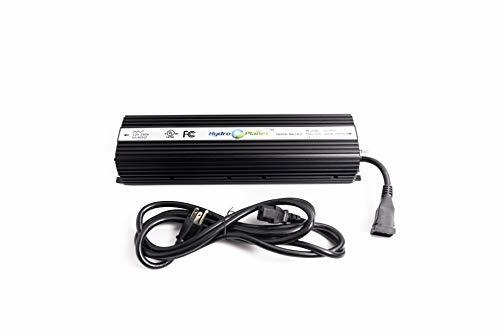 Hydroponic digital ballast also has fast light ignition and stable light output which makes plant lighting less complicated. This electronic ballast is quiet compared to other products on the market. It is certified by FCC. It uses 32mhz microprocessor for enhanced performance. This product has a technology that protects both the light and ballast from destruction in case there is a sudden power outage (ignition voltage control). Another safety feature of this 1000 watt ballast is that although it can restart by itself, it will not do so until the lamp is totally cooled. This product has intelligent lamp detection, ignition and power control. As for the adjustable dimming feature, you can choose from 60%, 75%, 100% and super. Are you fascinated enough already? Wait there’s still more. This ballast also has end of life protection and indication and precision thermal controls. This product brags about their soft start technology. This feature lets you start a number ballast in-synch without having dangerous electrical glitches. Vivosun digital ballast also has a Slow Light Start-up enhancement as well. This technology prevents untimely bulb botches. Planting can be challenging when the sun is not always shining brightly. I know you can imagine its decreased performance during a winter. Apart from this, people who love gardening can also modify the environment and cultivate their plants inside their houses or in other venues that have lesser sun exposure. This would include greenhouses and hydroponics. A lot of friends would tell me they would choose 1000 watts amongst other digital ballast. Whenever I ask them why they would say getting high-wattage ballast with an adjustable setting is perfect. They would explain that a ballast with low wattage will not be able to power bulbs with high watt demands, but a 1000w regulating ballast can energize lower ones. Adjustable ballast will allow you to power different light sources. This will give you peace of mind if in case your plant reacts differently by the time you applied alternative light sources. These are the kinds of lights your 1000 watts ballast can match with. They are both high-intensity discharge lights. They are both being utilized to enhance plant growth. If you have a ballast that can power both, you will be thankful! The High-Pressure Sodium light releases white light. This white light is focused on the spectrum that bolsters the reproduction mechanisms of plants (orange or red spectrums). This is being used during the flowering stage as well as the fruiting phase. On the other hand, Metal Halide lights enhance the growth process. They emit bluish-white light. Make sure that you are always paying for function. 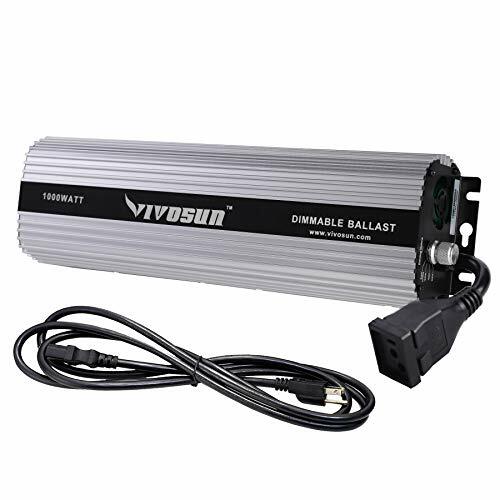 Some ballasts are expensive yet they do not have very good quality. Check the one which will give value to your money. As for all the gadgets you have, you should not operate a watt ballast without reading the instructions of the creator. Do not operate your ballasts in damp areas. Learn how to read wattages before you use this. Sometimes, the advertised wattage is not the same with the product watts. Failing to do so will destroy your lamps. Lastly, for ballasts that are not automatically regulating their voltage, make sure that the settings are correct before plugging it in electrical outlets. All gardeners want their plants to grow healthily. I am so sure of that because that has been my ultimate goal every time I sow. In order for us to be successful, we have to have the best 1000 watt ballast to aid us. 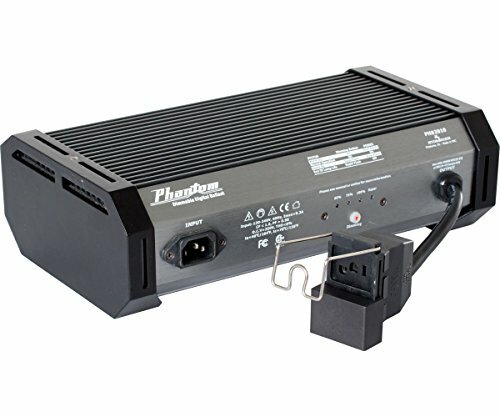 With the above-given points to consider, I would like to inform you that the best 1000 watt ballast for me is Phantom PHB2010 1000W Digital Ballast. You might have noticed that among the three, this is also the most expensive product, but I am telling you it is worth every penny. Thank you for reading our blog. Please tell us which products you want us to review too and don’t forget to share this with your friends!